Aaron lives on the chain of lakes created by the Sauk River as it passes through Richmond and Cold Spring, MN. He is a young man who spends much of his summer exploring the sport of fishing. Venture with him today in a quest for sunfish. This is part 1 of a two part series on how to find and catch sunfish. 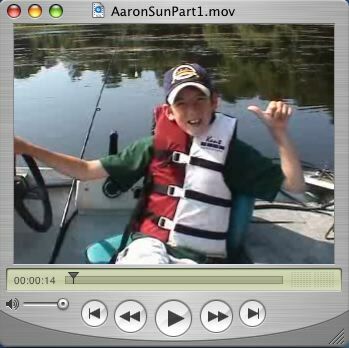 Aaron has great fun fishing and he has some pointers that even a few old timers might appreciate.